I thought first about making peanut butter cookies, as I haven’t made them in a while, but then I got worried about potential nut allergies and decided to keep brainstorming. I then recalled that Valentine’s Day was coming up, and that got the wheels in my head turning…Chocolate. Let’s face it, chocolate and Valentine’s Day go together like peas and carrots (can you name that movie?) 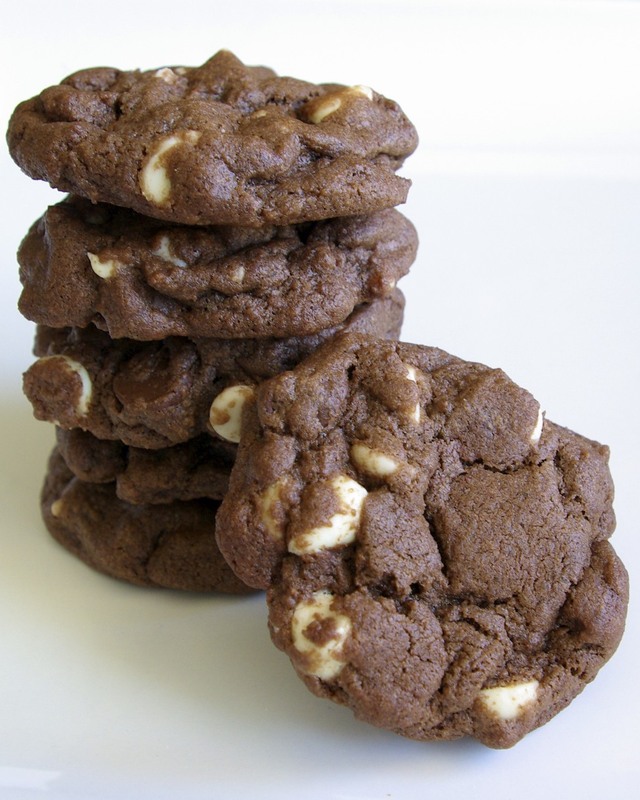 I figured in honor of this sweet holiday, I would make some tasty chocolate cookies to share with both the class, and with all of you! Now don’t you worry, I’m not talking about any old chocolate cookie; I am talking about a rich, triple chocolate cookie that is sure to please all of the Valentines in your life. I hope you enjoy! Do you have a favorite Valentine’s Day dessert? Let me know below! a separate bowl, whisk together the flour, cocoa, baking soda, and salt. incorporate flour mixture into the butter mixture until fully combined. 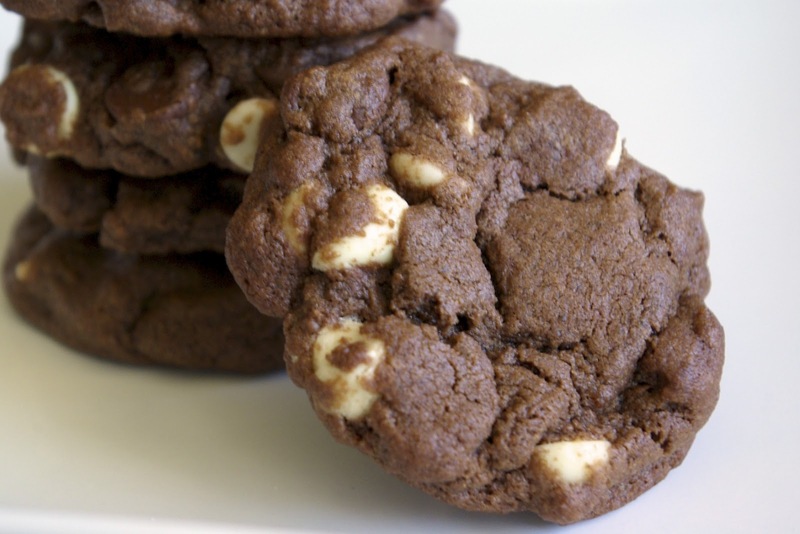 in the white and semisweet chocolate chips. by rounded teaspoonfuls onto ungreased cookie sheets. for 8 to 10 minutes in the preheated oven, or just until set. baking on the cookie sheets after you pull the cookies out.